Showing results by narrator "Twin Sisters"
Sing and play with a special toddler today! Everyone will have great fun with this new collection of 60 songs selected especially for your children! Establish a reassuring night time routine with this sweet story of mama animals tucking their little babies into bed. Then, be lulled to sleep by six beautiful accompanying lullabies. Includes an 18 page beautifully illustrated book for little ones to follow along with the recording! Improve your child’s speech! Songs that teach initial consonants, long and short vowel sounds, and other strategies for fun, easy speech practice. These songs focus on mouth movements, basic vowel and consonant sounds – p, b, t, d, k, and g – complex consonant-vowel transitions and advanced word level strings! Learn multiplication and division! Multiplication: Songs that teach every multiplication fact separately: the identity property, the zero property, skip counting, and review the facts! 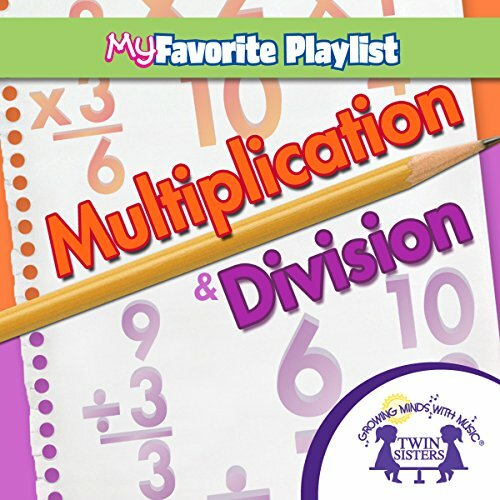 Division: Songs that teach division terminology, strategies for division, and division facts 0-9. 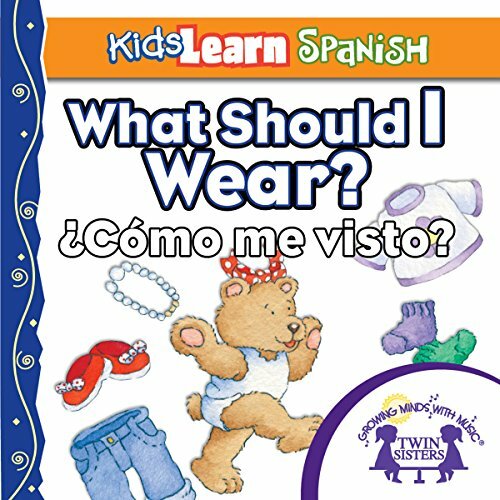 Los niños aprenderán las frases y las palabras sencillas de español en este libro divertido y ilustrado, por ejemplo, ¿Hola, cómo estás? ¿Cómo te llamas? ¿Qué hora es? ¡Y más! 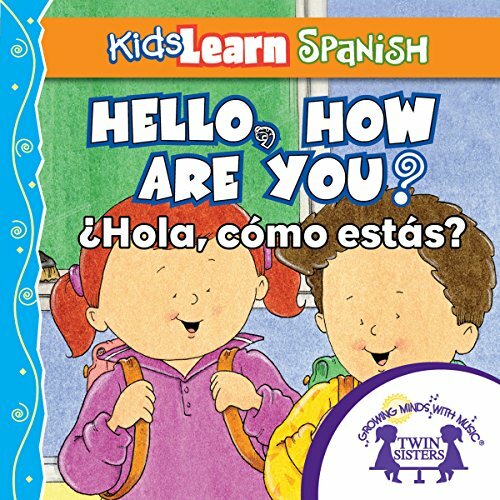 (Children will learn simple Spanish phrases and words through this fun illustrated story, for example, How are you? What is your name? What time is it? And more!) 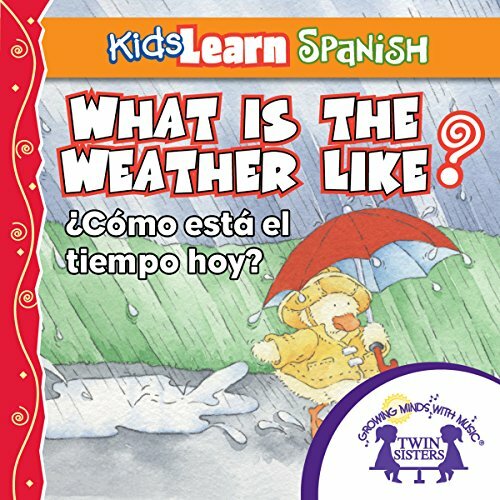 Each dual language learning set features an accompanying PDF set so children can follow along as each word is read and pronounced in both Spanish and English. 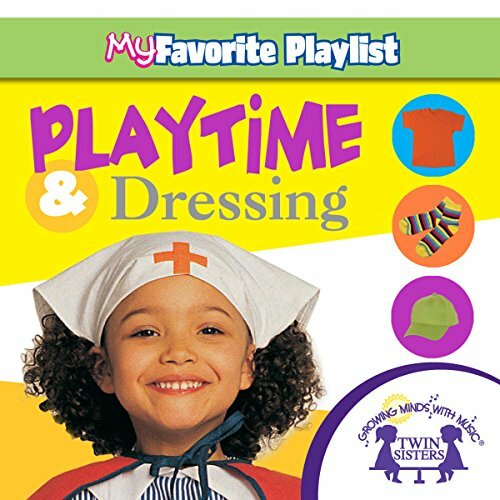 Songs for the essential parts of your toddler’s day – songs to teach about getting dressed and different types of clothes, and songs to encourage fun play! Desde la mamá oso y su cachorro hasta la madre y su niño, siga los pasos de la madres acostando a sus hijos. A los niños les encantará este dulce cuento con cálidas ilustraciones. (From the bear and cub to the woman and child, follow along as the mothers put their babies to bed. Children will love this sweet story with warm illustrations.) Each dual language learning set features an accompanying PDF set so children can follow along as each word is read and pronounced in both Spanish and English. 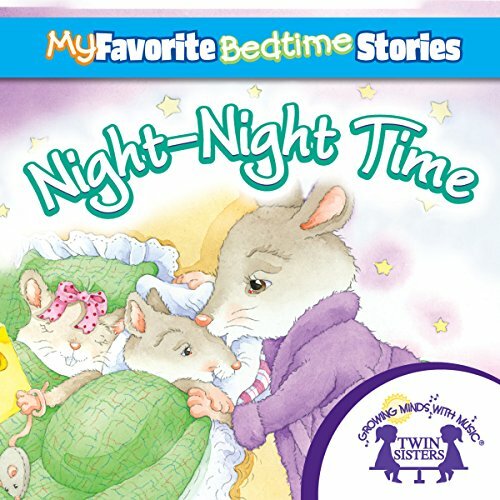 BONUS: Four tracks with lullaby music to lull your little one to sleep! 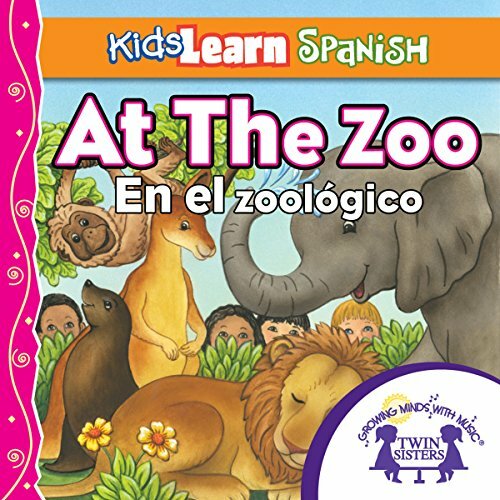 Each dual language learning set features an accompanying PDF set so children can follow along as each word is read and pronounced in both Spanish and English. A picture dictionary with English and Spanish words at the end encourages review of key words. 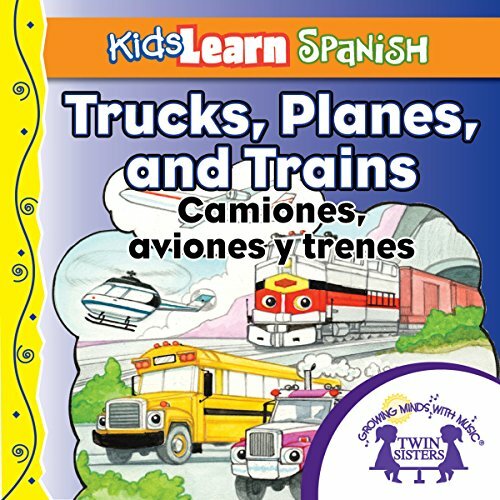 ¡Los niños aprenderán las palabras sencillas de español en este libro divertido y ilustrado, por ejemplo, mamá, papá, hermano, hermanita, abuela, abuelo, tía, tío, primos, y mi familia! 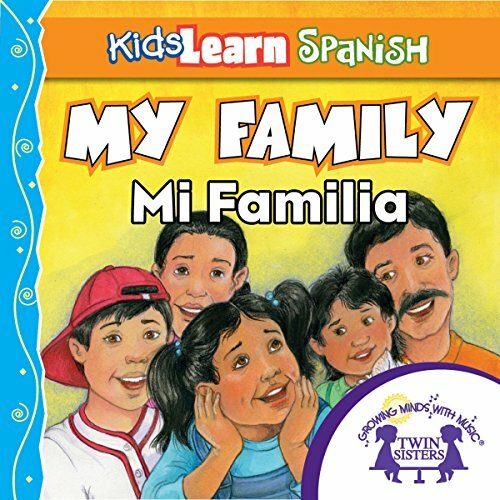 (Children will learn simple Spanish words through this fun illustrated story, for example, mom, dad, brother, baby sister, grandma, grandpa, aunt, uncle, cousins, and my family!) 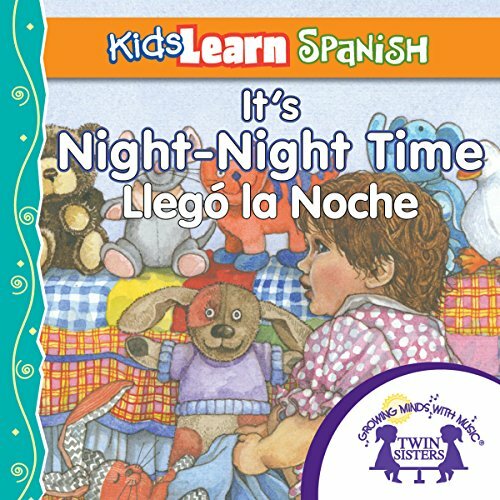 Each dual language learning set features an accompanying PDF set so children can follow along as each word is read and pronounced in both Spanish and English. Thirty-two new and traditional Spanish songs! 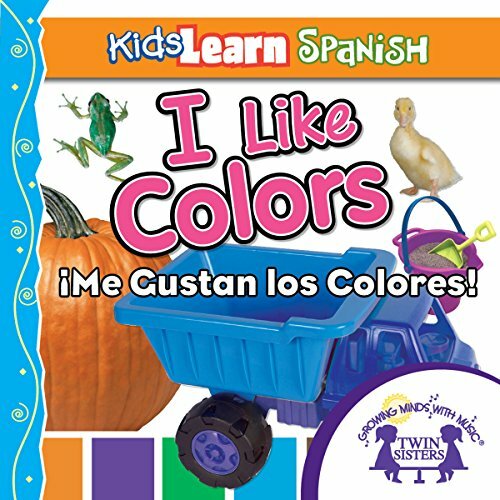 Sixteen songs teach colors, directions, good nutrition, kind words, and more in Spanish. Sixteen songs encourage dancing, swinging, marching, bouncing, and more! ¿Por barco, autobús, camión, o tren - cómo anda en la ciudad? En Camiones, aviones y trenes, descubrirá toda clase de transporte. (By boat, bus, truck, or train - how do you get around town? In Camiones, aviones y trenes, you will discover all kinds of transportation!) 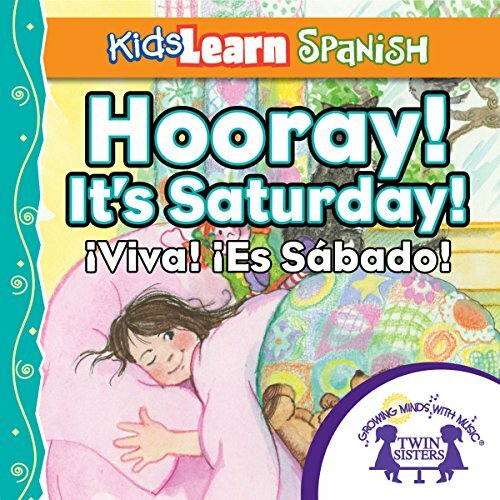 Each dual language learning set features an accompanying PDF set so children can follow along as each word is read and pronounced in both Spanish and English. A picture dictionary with English and Spanish words at the end encourages review of key words. Enseñar los colores a los niños es muy fácil leyendo juntos. A los niños les encantarán las fotografías brillantes y coloridas y el ritmo de las palabras. (Teaching children the colors is as easy as reading together. Children will love the bright colorful photographs and the rhythm of the rhyming words.) Each dual language learning set features an accompanying PDF set so children can follow along as each word is read and pronounced in both Spanish and English. A picture dictionary with English and Spanish words at the end encourages review of key words. ¡Camisas, pantalones, calcetines y zapatos, hay tantos tipos de ropa! En ¿Cómo me visto? aprenderá sobre los tipos de ropa que la gente viste en ocasiones diferentes. (Shirts, pants, socks and shoes - there are so many kinds of clothes to wear! In ¿Cómo me visto?, you will learn about the different kinds of clothes people wear for different occassions.) Each dual language learning set features an accompanying PDF set so children can follow along as each word is read and pronounced in both Spanish and English. ¡Es la hora de comer, y Abuela está cocinando! En A mi abuela le gusta cocinar, aprenderá a decor los nombres de diferentes clases de comida y bebidas en español y en ingles. (It’s dinner time, and grandma is cooking! 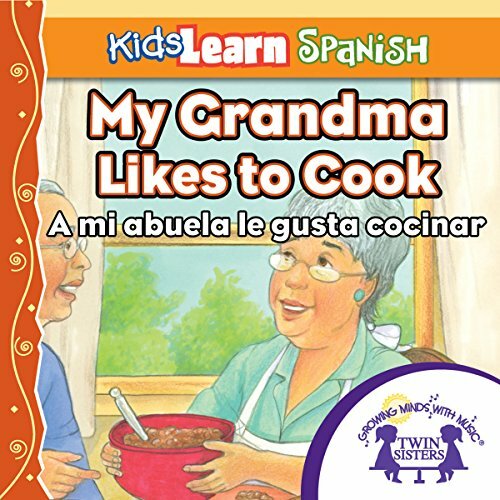 In A mi abuela le gusta cocinar, you will learn how to say the names of different kinds of foods and drinks in Spanish and English!) Each dual language learning set features an accompanying PDF set so children can follow along as each word is read and pronounced in both Spanish and English. Learn addition and subtraction! Addition: Songs that teach addends 0-9 and addition strategies. 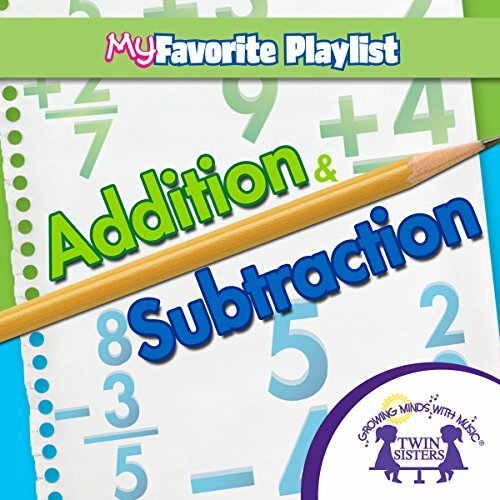 Subtraction: Songs that teach minuends 0-18, subtraction strategies, and fact families. ¿Cómo Está El Tiempo Hoy? Learn multiplication and your states! Multiplication Rap: Includes rap and hip-hop-style songs teaching facts 0-12 both with and without the answers, and multiplication strategies "Just Think Of Doubles" concept, the "Order Property" strategy, and more. 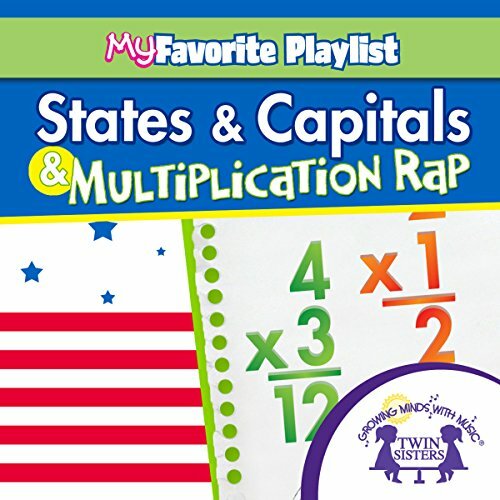 States and Capitals: Songs that will help kids of all ages master the names of the 50 states, their capitals, and interesting facts about each state! 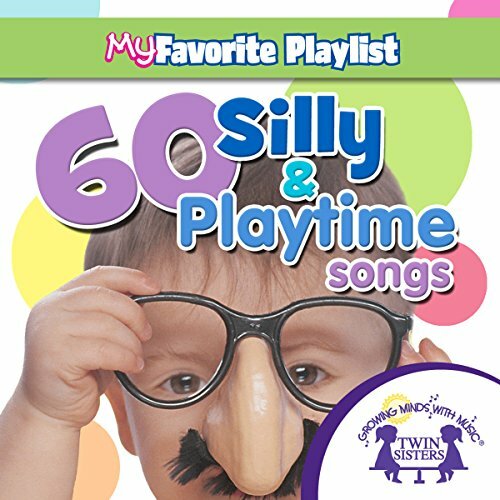 60 songs to make your little one smile and laugh, wiggle and giggle! Sing and dance with this new collection of 60 all-time favorite songs! Improve your child’s speech! Songs that teach blends, digraphs, dipthongs, rhyming words, compound words, synonyms, antonyms, and homonyms, and challenging beginning, middle, and ending consonant sounds. Children will learn through musical exercises that target tongue and teeth placement. difficult to understand, all songs.